Our first two missions are with Beyond Atlas. In August 2019 the first mission will launch. 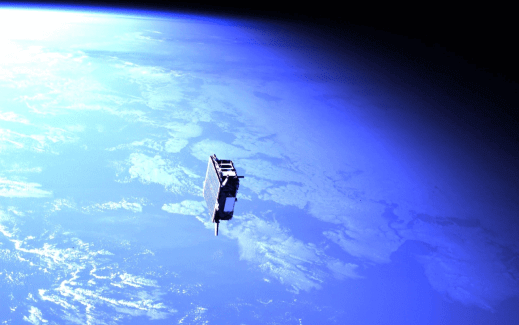 A small spacecraft that will orbit the Earth and navigate close to and photograph space debris. This is also a test mission, to try our navigation, propulsion, communication, etc. The second mission will launch, hopefully, in 2020. A little bit bigger spacecraft, that first will orbit Earth until it reaches escape velocity, then travel towards asteroid 2016 HO3 for about a year. Once there we will take pictures of the asteroid and scan it with a spectrometer to determine it’s content. The asteroid is in orbit around Earth and has been called Earth’s mini-Moon and Earth’s second Moon. This will be the first private mission to an asteroid. Relative navigation will be key to reaching our target. This is a picture taken in space from Mango of Tango, two Swedish spacecraft in relative navigation mission. Some of our team members were active in this mission. Our trip will start in a GTO or MEO orbit around Earth. Both works. GTO is more of a standard destination for launch vehicles, but MEO would suit our needs better from a radiation perspective. Once up there, the spacecraft would need to detumble, using sun sensors and reaction wheels. Once stable it would deploy its solar panels and point them towards the sun. Then the antennas would deploy, systems check, then the thrusters would be engaged. The thrusters will be running for the whole trip, accelerating the spacecraft by a tiny amount each second, minute, hour, day, week, month until the little acceleration over time amounts to the huge delta-V necessary to get to our target. Just to escape Earth will take some nine months. To reach the target, almost another year. On the way out we will take pictures of Earth and the Moon. As we leave the Earth-Moon system we will point the camera back to home, until home is just a dot among the stars. We will see if orbital mechanics will let us swing by the Moon. The very smart people doing the calculations really would like us to stay clear of the Moon, but would it not be nice to swing by, for no other reason that one would be able to? Let’s see. One challenge heading out will be to determine the position of the spacecraft. This is done by using big ground stations on earth and bouncing a signal to the spacecraft. Distance and angle to Earth can then be measured and calculated. We really would like to find another way of determining position, that does not depend on great infrastructure on earth being dedicated to my small spacecraft. It would be nice with “lighthouses” in space, to which the spacecraft could triangulate its position. However, for this first mission, it feels like we will go with the traditional approach. But let’s keep thinking of other ways? Perhaps one could put a “lighthouse” on our asteroid? Other challenges will be finding and, with precision fly close to the asteroid. We do want to slow down, not to make a flyby of it. So, well, let’s say we make it, and get to spend 60 days at the asteroid, making observations, downloading data to Earth, then what? Landing would be one option (soft crash), another would be flying back to the Moon, a third would be making a flyby of another asteroid. Who knows, that is also one of the purposes of the mission, to be able to fly/sail in space, not just to float on its currents. 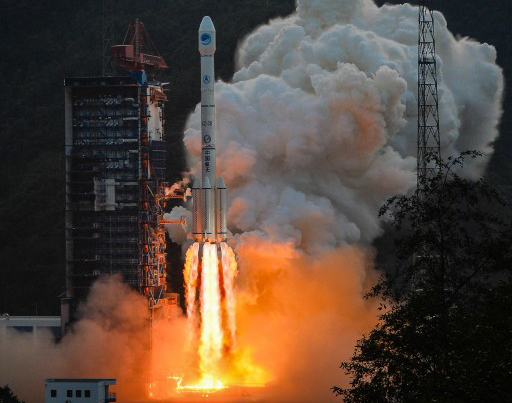 Launch of Long March 3B, example of MEO launch vehicle. Well, this is tricky. Even though the spacecraft is so small, and prices of getting into orbit is dropping, the administration fee of letting the spacecraft on board in the first place seems to be around 1-2 MUSD. We really, really, really would hate to pay that kind of money on some admin stuff. It goes against the spirit of the whole mission. The point here is to create a model whereby shared value would make exploration affordable. The way to go around this is to find a partner with launch capacity that sees the value of exploration. Someone who would want to share the effort, by providing the first half of the delta-V necessary (the launch) and we would provide the second half of the delta-V necessary (going from orbit to target). The CNSA could be such a partner as well as ESA or NASA. Another way would be to find partners who would love to get into space to test components/equipment or who would like to get experiments into deep space, and then willing to share the launch cost with us. Space Flight Industries has been very helpful in this line of thinking. In any case, finding a launch is a priority. And it feels like we are getting there. 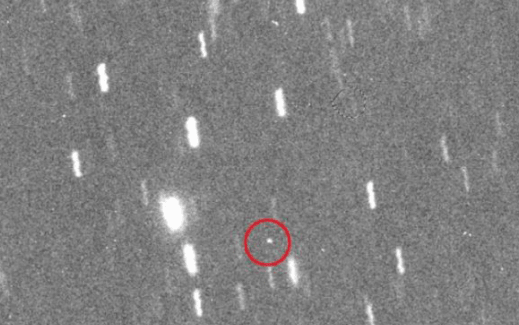 Picture of asteroid 2016 HO3. There is not much to be said of 2016HO3. It is 40-120 meters in diameter. Probably just a big rock. What makes it interesting for our purposes is that it never ventures very far from the Earth. It is around 56-89 lunar distances from Earth at all times. How can that be? Well, apparently it goes in an orbit around the sun in such a way that it at times is a little ahead of Earth, and then a little behind (watch this video of 2016HO3). So, what do we hope to find out when we get there? Well getting there in itself is, of course, an achievement. But once there we want to map its spin, size, composition (Big rock? Pile of rubble? Or A little bit of all?). We want to understand if there are volatile materials on the asteroid, and we want to understand its mineral composition. Also, not the least do we want some nice pictures to share with you all and hang on the wall back home. The spacecraft has at the time of writing no name, which strikes me as a shame. Let’s call it CEC for now. CEC will be a 12 U CubeSat. It will use electric propulsion and huge solar panels will feed it with power. The solar panels will be gimbaled to always point towards the sun when the engines are engaged. In-between propulsion and solar panels an extremely efficient power management system will have to channel all the wattage, to ensure that CEC will not go up in flames due to thermal issues. The transponder will be used for communication, but also to determine the distance and angle to earth. This is not an easy piece of equipment to be found for a spacecraft this small. Communication with Earth will be on X-band. 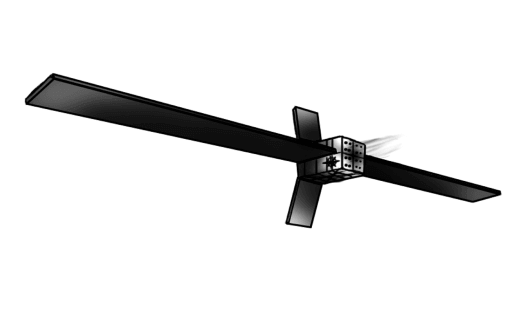 Flat patch antennas seem to be the way to go if one does not want to wander too far off the CubeSat norm. The navigation equipment will track the stars and use reaction wheels and the thrusters to point the spacecraft out there in deep space. That’s the basic rundown of the ship.